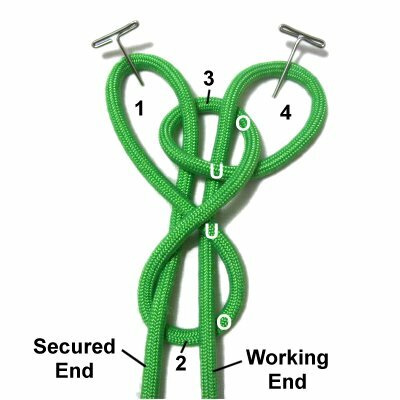 Description: The Figure Eight Stopper is a slightly altered variation of the E-Star Stopper Knot, which is used in boating, climbing and other activities that require the use of ropes. 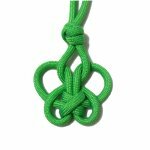 This Butterfly Pendant is just one example of how this knot can be used in Macrame. 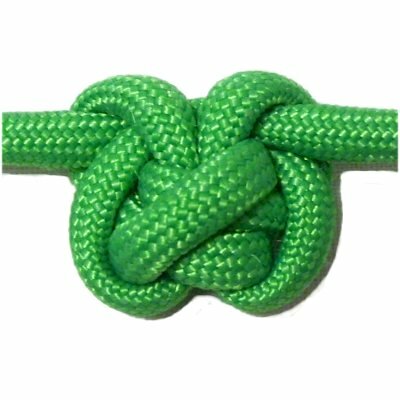 Any time you need an attractive knot as a focal point, this interesting knot is a good choice. 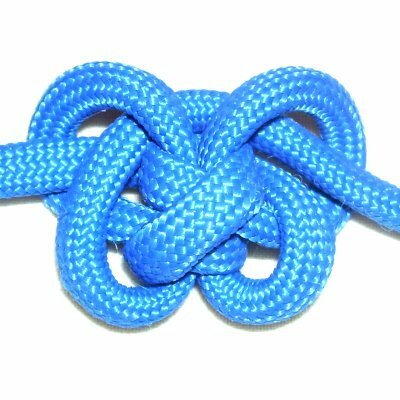 When practicing, the cord needs to be 36 inches long, so the knot will end up in the center of it. I recommend you use 4mm size material. 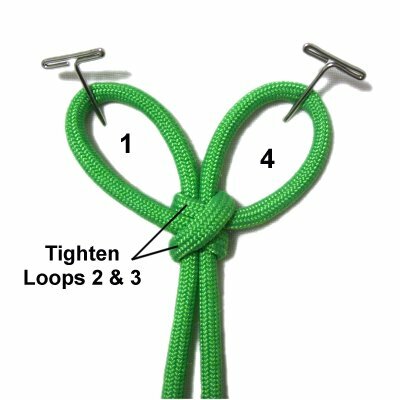 When using this knot in a Macrame project, fold the cord so the left portion (working end) is 12 inches longer than the right portion. Then secure it at the fold and make the first loop. Step 1: Secure the cord to your board 12 inches from one end. 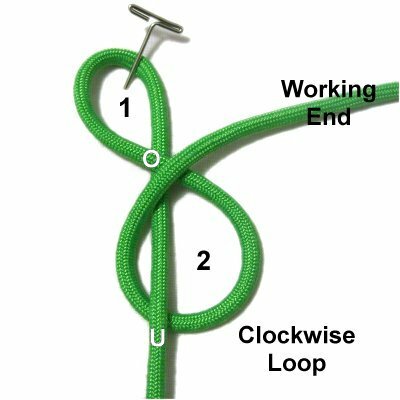 Make a counter-clockwise loop with the remainder of the cord, which is the working end. 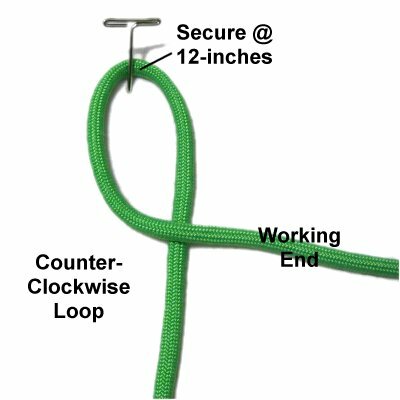 Step 2: To make Loop 2, move the working end to the left, passing under the secured end. Rotating clockwise, bring it back to the right, passing over the crossing point of Loop 1. 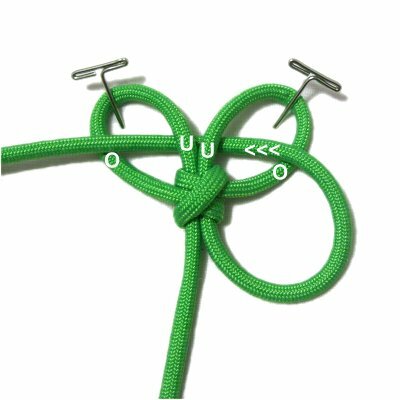 Designer's Tip: Loops 2 and 3 are considered the Figure 8 knot, which is in the center of the design. 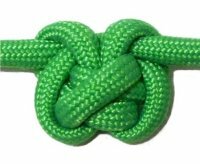 That's the crossed area you see when the knot is tight. Loops 1 and 4 can be adjusted to be any size you want. Step 3: Move the working end counter-clockwise, passing under - over the right side of Loop 1. Complete Loop 3 by passing the working end under to form the crossing point. 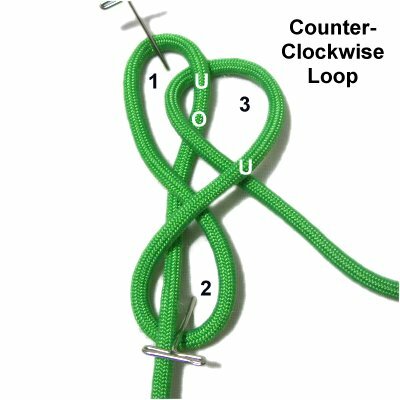 Step 4: To make Loop 4, rotate the working end counter-clockwise. 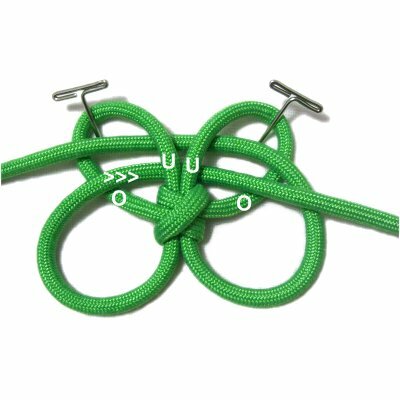 Pass it through Loop 3 over - under, arranged vertically. Make sure it's to the right of the secured end. Then pass it through Loop 2 under - over. Designer's Tip: The working end in step 4 follows the same path as the secured end. So if the over - under pattern is confusing, just compare the two ends. Step 5: Tighten Loops 2 and 3 until the center area of the Figure Eight Stopper is firm. You will need to pull on Loops 1 and 4, so they will get very large. Reduce the size by pulling on both ends of the cord. Leave enough room for the next step. Step 6: Bring the working end through Loop 4 horizontally, moving from right to left (over - under). Pass it through Loop 1 (under - over). Step 7: Bring the secured end through Loop 1 horizontally, moving left to right (over - under). Pass it through Loop 4 (under - over) between the working end and the tightened portion. You can tighten the knot firmly or loosely, depending on how you are using it in your Macrame design. Have any comments about the Figure Eight Stopper? Contact Me.